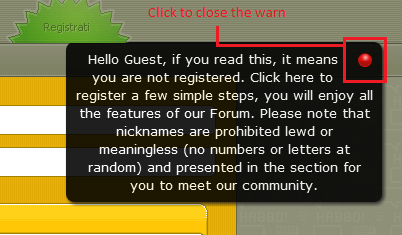 Show an elegant warn for all guest of your forum. 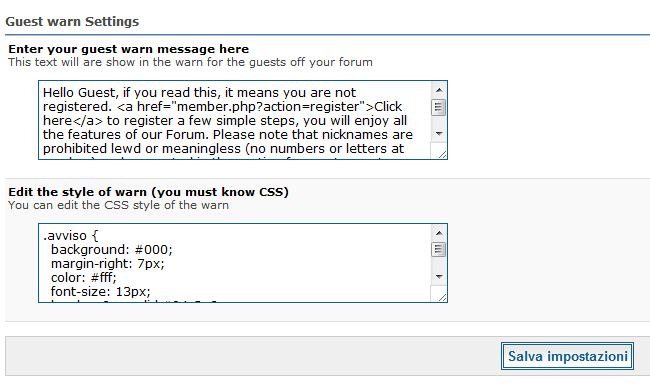 - Add an elegant warn in all pages of your forum for guests. - jQuery effects (without conflicts). What has changed respect the second version? - Guests can remove the warn. - You can edit all CSS proprieties by acp. For the installation you must load the file of the folder "Upload" in the directory of the forum and activate it from the acp. Deactivate the plugin. 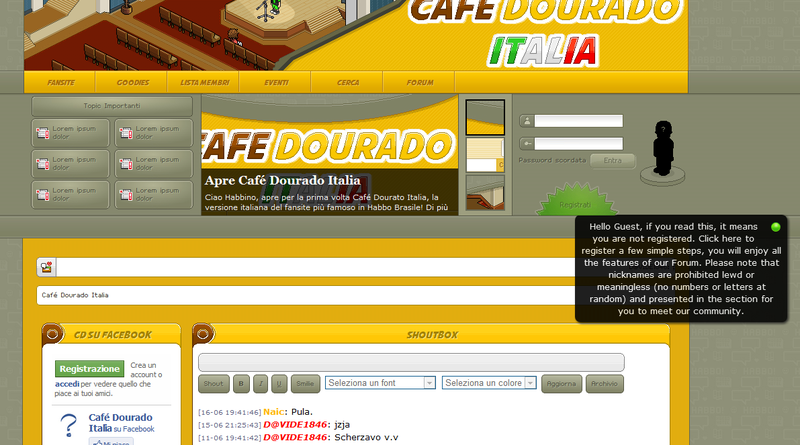 Delete the file of the folder "Upload" by directory of the forum and load the file of the folder "Upload" in the directory of the forum and activate it from the acp. - Language pack (coming soon).